ATLANTA -- Celesta L. Teal, 90, of Atlanta, died Wednesday, May 10, 2006, at 2:18 a.m. at her home. Visitation will be from 6 to 8 p.m. Friday at the Atlanta Christian Church. Her funeral will be at 10:30 a.m. Saturday at the church, with Maurice Stribling officiating. Cremation rites will be accorded following the service, and burial will be in Atlanta Cemetery at a later date. Mrs. Teal was a homemaker. She was born March 30, 1916, at Laconia, Ind., to Henry Franklin and Myrtle Behrens Richard. She married Fred Nichols, and he died in 1961. She later married Joseph Henry Teal, and he died in 1986. She is survived by one daughter, Donna Willis of Lincoln; two sons, Phillip Nichols and Rick Nichols, both of Atlanta; one stepson, Bob Teal of Lincoln; one stepdaughter, JoAnne Teal of Lincoln; one brother, Burlen Richard of Nevada; one sister, Pearl Fisher of St. Joseph; six grandchildren; and three stepgrandchildren. She was also preceded in death by three brothers, two sisters and one stepson, Ron Teal. She was a member of the Atlanta Woman's Club and the Atlanta Christian Church. LINCOLN -- Mary E. Cottingham, 78, of Lincoln died Monday, May 8, 2006, at 6:30 p.m. at St. Clara's Manor at Lincoln. A graveside funeral service for Mrs. Cottingham will be at 1 p.m. Saturday at Holy Cross Cemetery at Lincoln, with the Rev. R. Anthony Lee officiating. 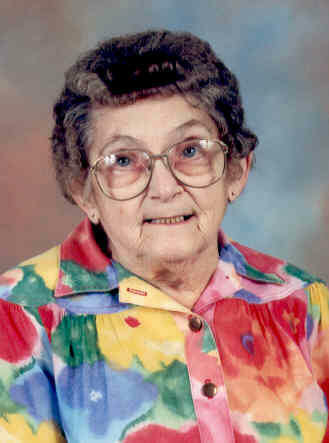 Mrs. Cottingham ran a day care from her home for 30 years. She had also been a secretary for Spellmans. She was born April 8, 1928, at Lincoln to Thomas and Helen Day. She married Daniel Jim Cottingham on March 30, 1966, in Glendale, Calif. He died Nov. 27, 1994. She is survived by her daughter, Ann (and Jerry) Schutz of Atlanta; two granddaughters, Jennifer Wheeler of Lincoln and Christy Wheeler of Atlanta; and two great-grandchildren, Aubrey and Ashton Bottles. One sister preceded her in death. She was a member of Holy Family Church. Click here to send a note of condolence to the Cottingham family. 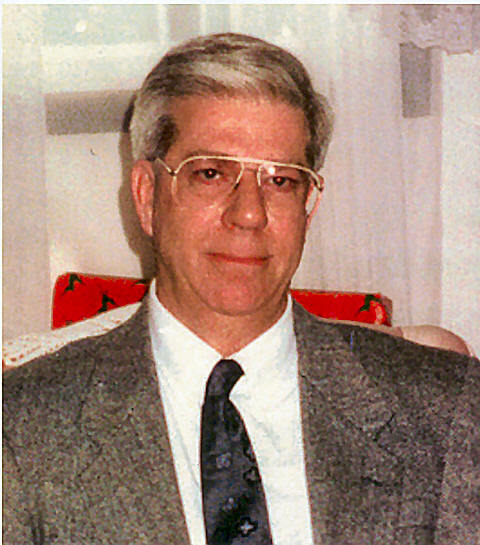 LINCOLN -- James Joseph Sutton Sr., 79, of Lincoln died Monday, May 8, 2006, at 4:50 p.m. at St. John's Hospice, Springfield. His body will be cremated, according to his wishes. A memorial gathering will be at noon Saturday at the American Legion in Lincoln. Family and friends are invited to share in fellowship with the Sutton family. Holland and Barry Funeral Home is handling arrangements. 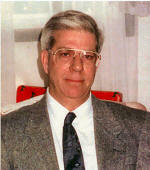 Mr. Sutton retired from PPG Industries in 1988. He was formerly employed by Stetson's China in Lincoln. He proudly served his country in the U.S. Navy during World War II. He was born Jan. 30, 1927, in Lincoln to Gilbert Wayne and Lillian Kline Sutton. He married Irean Bradley on March 4, 1949, in Lincoln. She died in 1988. He was also preceded in death by one son, Jeffery Sutton, and two brothers, Claude and Gilbert Sutton. He was a member of the Moose Lodge, American Legion and VFW, all in Lincoln. He also belonged to the Flint Glass Workers Association. Memorial donations may be made to St. John's Hospice. Click here to send a note of condolence to the Sutton family. LINCOLN -- Larry L. Bacon, 64, of Lincoln died Monday, May 8, 2006, at 4:35 p.m. at Trinity Terrace Park, Bettendorf, Iowa. Visitation will be from 4 to 7 p.m. Friday at Fricke-Calvert-Schrader Funeral Home in Lincoln. His funeral will be at 10 a.m. Saturday at the funeral home, with Bill Shanle officiating. Mr. Bacon retired in 1999 from Caterpillar in East Peoria, where he worked as a timekeeper for 35 years. He was born Jan. 22, 1942, in Lincoln to Raymond and Mary Alexander Bacon. He married Sandra Noon on July 26, 1960, in Lincoln. He is survived by his wife, of Lincoln; one son, Mike Bacon of Nebraska; two daughters, Kelly (and John) Schreiber of Lincoln and Angie (and Bob) Pittman of Springfield; two brothers, Bill Bacon of Lincoln and Robert (and Pam) Bacon of Lincoln; two sisters, Joanne Bacon and Karen Scales, both of Lincoln; four grandchildren; and one great-grandchild. He was preceded in death by his parents and an infant daughter, Kathy. Memorials may be made to the American Cancer Society or to the donor's choice. Click here to send a note of condolence to the Bacon family. LINCOLN -- Charles Thomas West, 63, of Lincoln died Friday, May 5, 2006, at 8:45 a.m. at Hopedale Medical Complex, Hopedale. His funeral will be at 1:30 p.m. Wednesday at Fricke-Calvert-Schrader Funeral Home in Lincoln, with Jack Nicolay officiating. Visitation was on Tuesday at the funeral home. Mr. West worked at Tom Short's Oil Co. for 15 years as a mechanic. 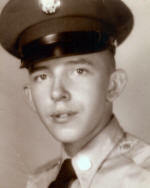 He was born March 18, 1943, at Litchfield, Ky., to Sherman and Ora Ree Kiper West Sr. He is survived by his companion, Edie Houser of Lincoln; one stepdaughter, Mellissa Dawn Hyde of Bloomington; four brothers, Wilbur West of Lincoln, Sherman (and Joan) West of Lincoln, Ellis West of Lincoln and Roger West of Alton; three sisters, Anna Franciskovich of Lincoln, Elizabeth (and Andy) Hernandez of Gridley and Barbara Rankin of Davenport, Iowa; and three stepgrandchildren. He was preceded in death by parents, grandparents and one brother, Jimmy West. He was a member of Teamsters and the Laborers union for 15 years. Memorials may be made to the American Cancer Society or Easter Seals. Click here to send a note of condolence to the West family.